Kevin O’Connell, composer of Aifreann. 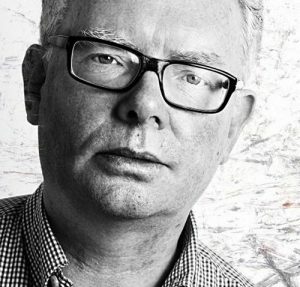 A new Mass by Irish composer Kevin O’Connell will have its world premiere in Dublin next Sunday. Aifreann sets four prayers from the Ordinary – the “Kyrie”, “Gloria”, “Sanctus” and “Agnus Dei”, to music. It will be performed by the Palestrina and Senior Girl Choristers, at 11am Solemn Mass in St. Mary’s Pro-Cathedral, Dublin, on 14 October 2018. This is the Derry man’s second Mass. The first, in Latin, was performed by the Palestrina Choir in 2015. The choirs, under the direction of Blánaid Murphy and accompanied by organist David Grealy, have been rehearsing for some weeks. With its first performance just a week away, Mr O’Connell said he is relaxed as he has worked with the director and choirs before. “But any premiere is always an event where nerves and keen anticipation mix,” he said. Mr O’Connell, who is head of composition at the Royal Irish Academy of Music, said a particular challenge of working on Aifreann was the fact that he does not have fluent Irish. Describing himself as a “Mass-attending Catholic”, Mr O’Connell, whose output includes opera, orchestral, vocal and chamber works, said that faith demands much “and it should, but we all fall short”. Mr O’Connell said a sung Mass has the potential to reach many people outside the circle of concert music – but it is not entertainment because the Mass itself is not. “It is a sacrifice where all, including the music, subserves the altar,” he said. Noting that all artists depend on public sponsorship of their work, Ms O’Shea Farren said the CMC, which is funded by the Arts Council, is “more than happy to assist in any way we can to bring ideas to fruition”. For further information visit the CMC’s website. The publication of the new edition of An Leabhar Aifrinn Rómhánach, which contains Irish language translations of the music in the 2002 and 2008 Missale Romanum and the English language missal of 2011, provided the impetus for the commissioning of Mr O’Connell’s Mass at the start of Bliain na Gaeilge 2018.